Happy Tuesday lovelies! We have a great mid-week surprise to get you through until Friday night happy hour. 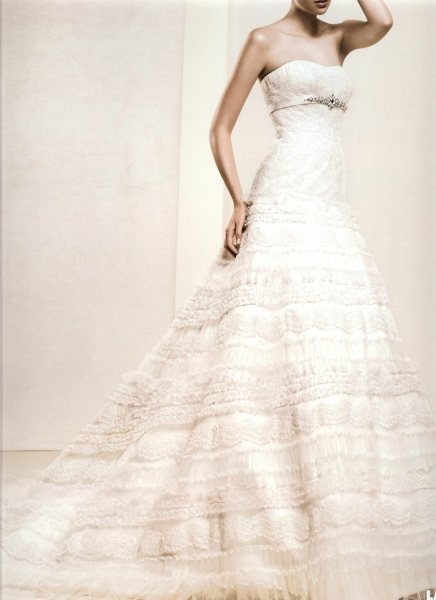 Our sneak preview of the 2011 La Sposa collection continues with the fab-u-lous and darling….DARLING. Could the name be more fitting to the gown? We think not. Enjoy!